The President of the Presidential Council, Fayez Al-Sarraj, said that there are parties that do not want to hold elections in Libya due to their fear of being eliminated from the political scene. 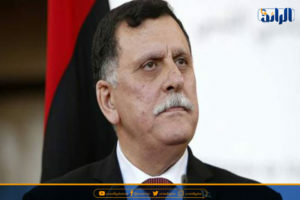 In an interview with Al-Sharq Al-Awsat newspaper, Al-Sarraj stressed European and international bodies need to remain committed to the elections and to monitor the procedures and that Libyan parties must accept the results issued. Al-Sarraj added that there is no date for the expiration for the political agreement , and that the agreement continues until Libya reaches the election and a new authority takes over. 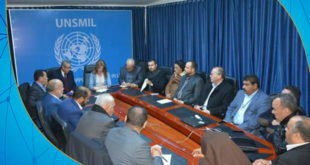 Al-Sarraj also addressed monitoring the Libyan borders, starting that they have “called on the European Union to support us in obtaining electronic devices to monitor the southern border, especially in light of the growing illegal migration of terrorist from ISIS, extremist and criminal groups, and those fleeing from various cases and sentences in their countries”. Al-Sarraj estimated the number of migrants in Libya at about 500,000 illegal immigrants outside the accommodation centers, in addition to 20,000 immigrants in the centers. He also denied claims that the EU is working to settle migrants in Libya. He called on all parties, especially the European Union, to work with African countries to repatriate illegal immigrants in Libya. He also asked the EU to support Libya by providing the necessary materials to shelter and support the Libyan coast guards.